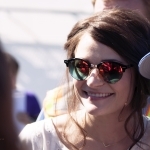 Sarah News and Rumors Comments Off on Emilie Welcomes Second Child! 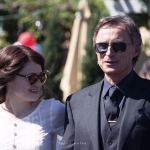 Emilie took to instagram to announce that she is expecting her second child (a boy!) with her fiance, Eric Bilitch! The new addition to their family will join big sister Vera and fur-siblings Mable, Louise, Beckett and Stanley. 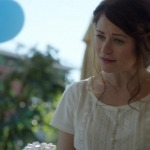 Sarah News and Rumors Comments Off on Emilie Expecting her Second Child! Hello, everyone! I just wanted to make a few site announcements. First, the new gallery is completed, and I have removed our old gallery. 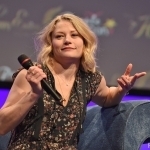 You can now find photos of events, photoshoots, and all of Emilie’s projects in our new gallery! Second, with finishing the gallery, I have also finished redoing the entire series of Lost in HD, logoless screencaps. I hope you all enjoy them. In late January, Emilie attended the G’Day USA Los Angeles Black Tie Gala. I’m sure many of you saw the photos in our gallery; however, I wanted to point it out in case you missed it! We have a new theme and a new host. I hope you enjoy our new look as much as I do. It was designed by my good friend Claudia with the header being made by my other good friend Ana. I also recently moved hosts, so hopefully, you find the site moves just as fast as before and enjoy significantly less advertisement while browsing. And last, but not least, Emilie became an American citizen! Sarah Appearances and Events, Gallery, News and Rumors Comments Off on New Gallery Officially Complete + Announcements! Sarah Appearances and Events, Gallery Comments Off on Big Events Update!